Is this homeowner wrecking their Iowa homeowner property claim? Today's question makes me somewhat uncomfortable with where this claim ends up going or if too much damage has already been done. This man probably has a valuable Iowa homeowner’s property damage claim. As lawyers we see this type of claim all the time. In this case the homeowner is trying to settle his own claim by performing Internet research. Lawyers field many questions from people who have gained a little knowledge through Internet research. With some we sort of quietly laugh, give a little advice and redirect them. But with others there is no fixing the mess they have made. And so today I field a question from one somewhere in between. This one did a little research and ... feeling bullet proof, he takes another step forward where he wades into settlement negotiations. He soon finds out he has walked into a legal mine field, where every step forward leads to a new unanticipated question and decision to be made. Good lawyers, smart ones, see the practice of law similar to a chess match. They know the rules and play the game following the rules. They anticipate the opponent's moves and act accordingly. Let us get back to our friend. Believing he is now equipped with sufficient knowledge he heads off to settle his own claim. He contacts the insurance adjuster and not long after the initial contact figures out he's in over his head. What made him think a little Internet research equipped him with the tools to play lawyer? Does he understand enough about Iowa property damage law to act as his own lawyer? Probably not, but hopefully he is waking up before he destroys the entire claim. Let’s see why he is now asking an Iowa homeowner’s lawyer for some advice and why this is a bad idea. What if I made the adjuster in my homeowner’s claim an offer to settle the case and did it without an attorney and before doing research and realized I way low balled it? An insurance agent left a message for me to callback and talk about the claim? Can I up the settlement with the information I've obtained? YOU CAN, BUT A BETTER QUESTION IS, SHOULD YOU? You can withdraw your last offer before it is accepted and make a new offer. But by doing so you may be hurting your claim without even knowing it because unlike a lawyer you are not trained to understand the law of homeowner claims and the insurance adjuster now knows it. But beyond the law, I'm pretty certain you do not understand insurance contracts. And so add up what you know about property damage and insurance law and I will guess you are not equipped to handle your own case. When you make an offer, then withdraw it and make a higher counteroffer, the adjuster will likely put your claim file on the back of his desk because it will be obvious to him he can't trust, that what you say one day, you will go through with the next. To him this is amateur hour. You are digging a hole deep enough that sooner or later the adjuster will abandon talking to you about the claim and no lawyer will want anything to do with the claim. And at that point you will be writing to ask me why no lawyer will take your case. In my thirty-five plus years of experience as a lawyer, I find that settling claims even with a lawyer, you receive more; even with paying legal fees. That's because most laypeople have no way of knowing which facts are important and what laws apply. They do not know how to value the claim and when told what the law allows they want to argue about what they want the law to be. The law is the law. No matter what I may want it to be, it is what it is. The rule of law sets up how to argue for payment of compensation. What I may hope to get paid by way of insurance, is guided by both the insurance contract and the law. DO YOU EVEN KNOW HOW TO CALCULATE DAMAGES? And then there is this guy who believes his case is different than any other claim in all the history of insurance. This is the client to be wary of. Lawyers are told quite often by clients, that their case is different because they are honest and all those other people who came before them, weren't honest. Some clients will even say, their case is different because theirs is not frivolous, inferring many claims are, but theirs is not. It is the one. This statement is meaningless to an insurance industry that spends billions of dollars trying to convince the general public millions of frivolous claims are clogging up the legal system. How will you convince the insurance adjuster that your case is meritorious? Or, how will you know if the adjuster thinks your case is frivolous? They will not volunteer that opinion. Instead the adjuster will steer the recorded interview in such a way to make your claim sound frivolous in order to void your claim. You will know what he or she thinks only after they deny the claim. To be compensated you need to convince the adjuster your claim has value. Value is determined according to the law. Which is why some cases are simply rejected by all knowledgeable lawyers. You have to play by the rules. It is that simple. 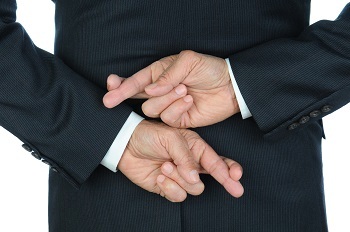 Is your claim considered by the insurance adjuster to be frivolous or not? Very few cases are frivolous. I’m not sure I’ve ever seen a frivolous personal injury case in Iowa. But that’s not what insurance adjusters are taught to think; quite the opposite. Most people think their claim is not and they might be right, but then again they might be wrong about what some activist insurance adjuster thinks about their homeowner’s claim. To figure out what the adjuster does think, you have to be able to talk about the facts and the law. You have to talk about both fact and the law. Can you afford to be wrong? If you can afford to lose, then it’s not a problem, just have at it; if you cannot afford to lose, then hire a lawyer. If you have a property claim it's important to speak with an experienced property attorney. Please feel free to contact us online or call us directly at 515.222.1110 to schedule your free, no obligation consultation. If you’ve been in a house fire, burned or someone has died as a result of a house fire, then you need an attorney on your side. If the Lombardi Law Firm can be of assistance we invite you to contact us. It never costs you to just talk with us to see if you have a case and rarely if ever have we charged a client through the investigative stage to determine if they have a case. Contact us today to discuss your house fire claim.